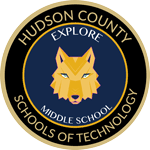 Explore Middle School: Rebranded and Ready to Go! (September 20th, 2018--Jersey City, NJ) Explore Middle School, formerly Explore 2000 Middle School, kick started the 2018-2019 school year with rebranding, curriculum expansion, new administration and additional faculty and staff. “I really like the word ‘Explore’ going down the arm of the long sleeve shirts and sweatshirts. It reminds me of something I would wear outside of school,” Sara Khiri, 7th grade, added. Mr. Alan Cano, a graduate of County Prep High School and a new visual arts facilitator, was tasked with heading the rebranding based on input from our Parent Student Advisory. “I wanted to create bold logos and a strong image for the mascot that the students could be proud of wearing. Navy and Gold are a classic scholastic color combination, and by introducing a wolf that was designed with lots of straight lines and hard edges, I felt that I could create something timeless and modern.” To read more about the mascot choice, go to Explore Wolfpack. 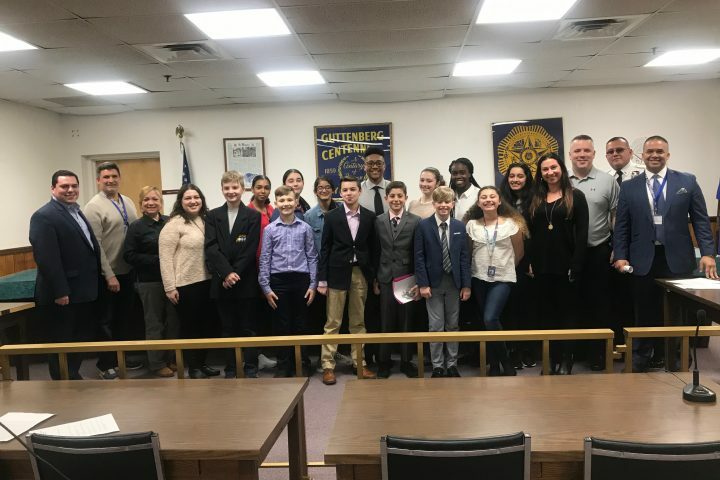 Principal Krone assured the student body that regardless of new changes to the school, Explore would continue to be a project based learning (PBL) environment. Language arts teacher, Heather Garrett, has been an instructor with Explore for 7 years and has seen first hand how successful project based learning can be. “The incorporation of projects into the academic [curriculum] this year is creating a huge learning experience for our students. 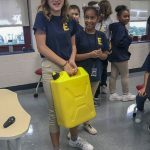 It gives them the ability to reach learning goals through a multi-sensory approach while still reinforcing core academic standards,” Garrett explained. “Career and technical education” (CTE) classes will be one of the biggest changes to the students’ weekly curriculum. Each marking period, students will be given the opportunity to choose a CTE class to add to their schedule. 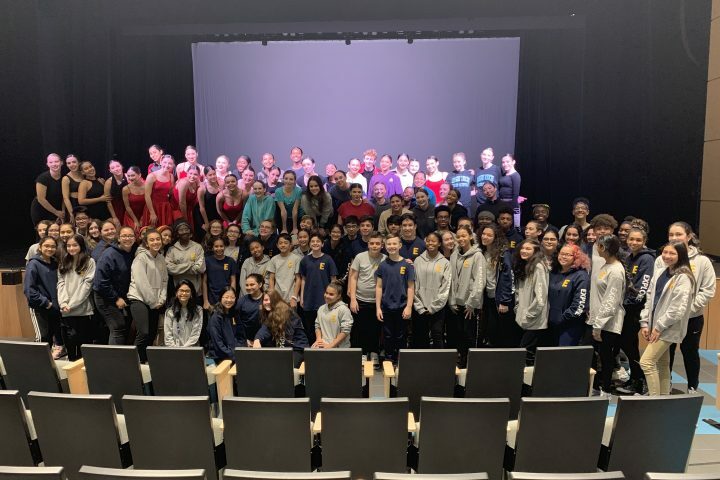 Mixed grade-level classes include subjects such as vocal arts, environmental science, dance, journalism, drama, biomedical research, photography, STEM Exploration and more. 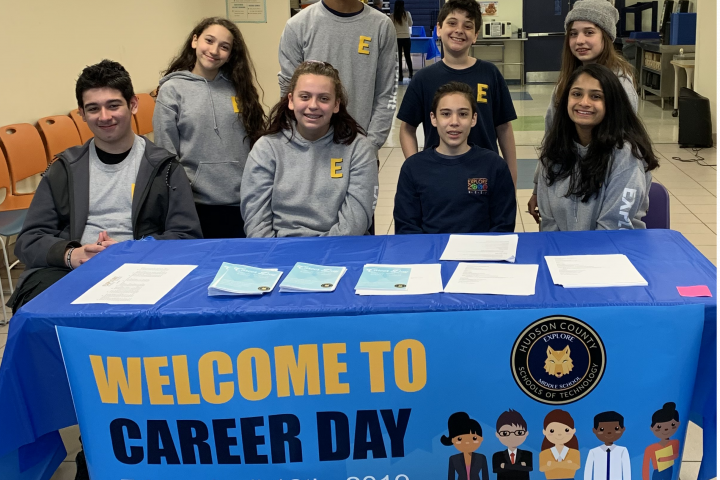 CTE classes are used to encourage students to embrace a variety of employable skills for secondary and workplace success. The faculty at Explore created the curriculum for CTE classes they are most passionate about. “This is a very fun school and a fun place to be. Everyone here is very kind and respectful of others. 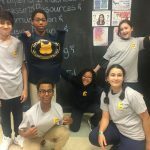 It is very different from my old school because here we get to mix with other grade levels and the older kids are respectful and welcoming,” Jordan Frazer, 6th grade. Like Echevarria and Frazer, many of the 6th graders are already beginning to blossom in this progressive setting. Additional enhancements to Explore included the welcoming of 5 new faculty members: Jamie Velazquez, Supervisor/Social Studies, Mary Norcia, Science, Mariel Teschlog, Guidance, Mary Ellen Kettleman, Math, and Justine Franco, English. For more information on the entire staff, bios can be found at: Staff Bios. 2019 © Explore Middle School.